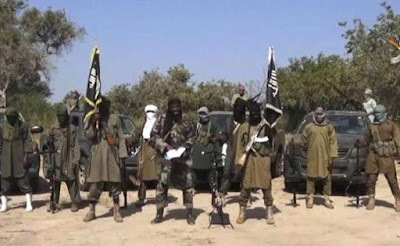 A 25-year- old housewife and mother of five, Aisha Bukar yesterday recounted her ordeal in the hands of Boko-Haram insurgents, saying she, her husband, mother-in-law and children, fed on ‘weeds’ to survive. Mrs. Bukar, one of the captives of the insurgents, escaped from their enclave after a military war plane bombed their hideout in Sambisa Forest recently. She told News Agency of Nigeria that she escaped from the camp with her husband, mother in-law and the five children. She said: “We were working in the farm when the insurgents abducted me, my husband, children and mother in-law. They took us deep into Sambisa Forest, where we stayed for about three years. Mrs. Bukar lamented that the insurgents meted out inhuman treatments and abuses on women and children under their captivity.